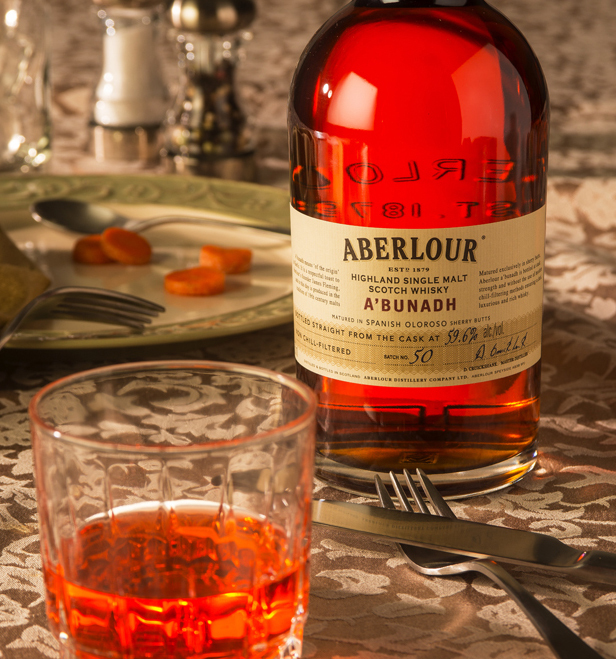 Aberlour A’Bunadh – Mercifully, dinner with your in-laws is finally over and the kids are watching Shrek for the third time this week. Now it’s your time and the whisky you need has just dropped in. This deep amber powerhouse is amazingly smooth and malty, especially considering it is cask strength. The distillers aged their prized liquid in Spanish oloroso sherry butts , and that wood has worked its magic. I found spice and pepper along with some mysterious fruit on the palate . The nose is sweet and oh so potent but delightful. I suggest resisting the common temptation to add water to mellow it out, harness the power! The finish is super luxe lengthy and most enjoyable….Halfway through the glass your nutball brother-in-law will seem almost tolerable. This after dinner specialist easily earns a 9 on the Snob-O-Meter.